Welcome to the Harwell & Cook Orthodontics Patient Rewards Program, otherwise known as the 7Up Club and the VIP Club. The 7Up Club is just for our younger patients—all other patients participate in the VIP Club. Yes! In fact, if you’re our patient, you’re already in the club! Now it’s time to start earning your points and prizes. It’s easy as being on time to your appointment. Really, it’s THAT EASY. How to Earn Cool Prizes! When will I get my club card? Your card is issued at your first exam in our office. How do I check my points? Check your points at the Rewards Hub when you come in for your appointments. The Rewards Hub is your go-to spot for keeping track of your POINTS so you can find out what PRIZES you have earned! How do I redeem points for the prizes? 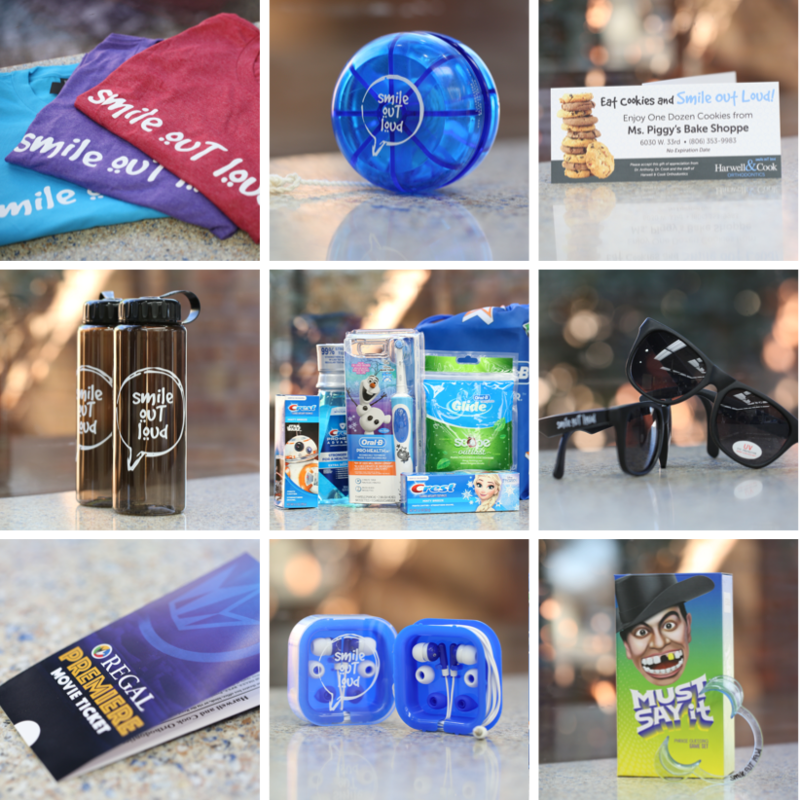 Prizes can be redeemed in the office at the Rewards Hub at any time!